ZIMBABWE – AMSTERDAM – Telecel Zimbabwe (Telecel)’s parent company, VimpelCom Limited, says it is preparing to file an international arbitration against government next month after it cancelled its mobile licence and contravened bilateral investment promotion and protection agreements (Bippas). VimpelCom’s chief group business development and portfolio officer Anton Kudryashov yesterday told Zimbabwean journalists that while the global telecommunication company was committed to remain in Zimbabwe, it was not happy with the way their investment was being treated in the country. “We sent out letters to various government departments in Zimbabwe including the office of the President and Cabinet notifying them of our intention to go for arbitration after six months,” he said adding that the arbitration process might begin in October if government does not respond by then. “The issue was also raised with President Robert Mugabe when he visited Russia in May this year and we remain in consultations with his office,” he added. Kudryashov said Russia was taking the issue seriously and had tasked its Industry and Trade minister to chair a committee that is looking at the case. 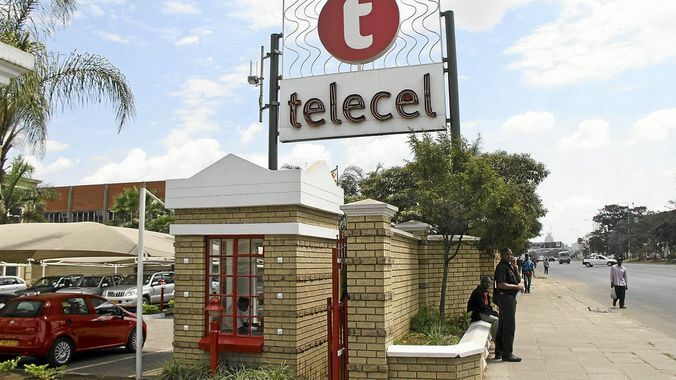 This comes after government in April this year cancelled Telecel’s operating licence for failing to follow the country’s indigenisation laws, but was temporarily restored weeks later after the company went to court. By cancelling Telecel’s licence, Zimbabwe violated its bilateral agreements with Switzerland as well as Netherlands, where VimpelCom is headquartered. The telecommunication company, which generates over $17 billion revenues annually, was initially established in Russia. Kudryashov noted that VimpelCom is planning a turnaround strategy for Telecel but this was dependent on current negotiations with government over the mobile operator’s licence. “We don’t feel welcome in Zimbabwe and it’s not good. We want to feel appreciated for what we are doing and we would like to see our licence fully restored,” he said. The VimpelCom boss added that he was encouraged with the shift on government stance in the last three months from being aggressive to mutual dialogue. “We have seen a lot of support in the past few months and based on that we want to invest in Zimbabwe. Our ambition is to grow our market share and manage the business in a most cost effective way,” Kudryashov said. He, however, quickly added that the company might be forced to sell its operations in Zimbabwe and withdraw its services if government maintains its pressure. “If the macro-economic situation does not improve then we might also be forced to sell our operations,” he said. Zimbabwe’s economic conditions have been deteriorating since 2013 when President Mugabe extended his rule on the country due to a controversial election win, which the opposition claimed was rigged. Since then, the country has witnessed massive company closure, rising unemployment, increased water and power outages, and the government’s promised 2,2 million jobs have remained elusive. Critics blame the Zanu PF-led government’s policy inconsistencies and bad economic policies for the current crisis. Telecel chief executive, Angeline Vere, said the company will soon be rolling out new products aimed at attracting new subscribers and reclaiming its market share. “We have been given a licence for remitting cash from outside Zimbabwe and we are looking at utilising VimpelCom connections to source low cost but high value smartphones for our clients. We will bring the smartphones by October to our market,” she said.